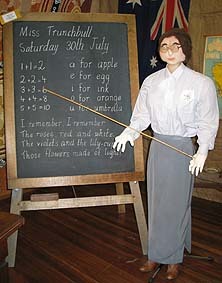 -- See the whole classroom scarecrow display. 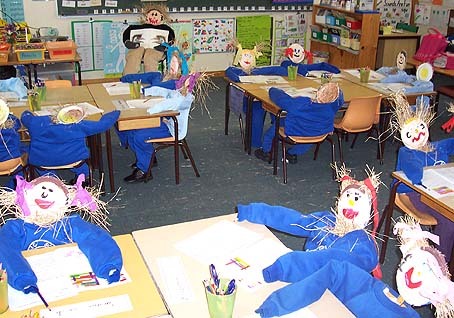 -- Find out how these classroom scarecrows were made. 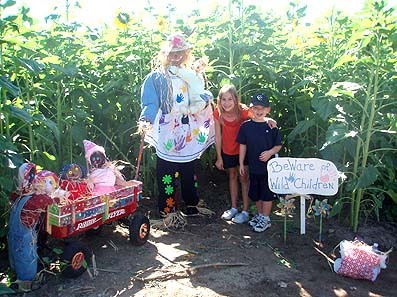 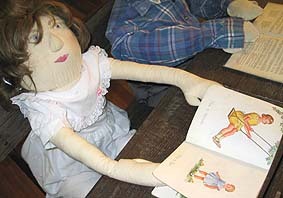 -- See individual photographs of each scarecrow and stories about the scarecrows written by the children. 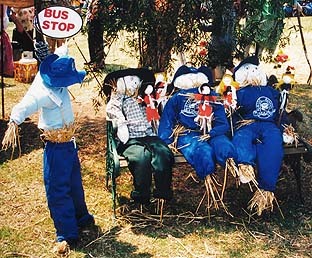 Here are some scarecrow school kids waiting for the school bus. 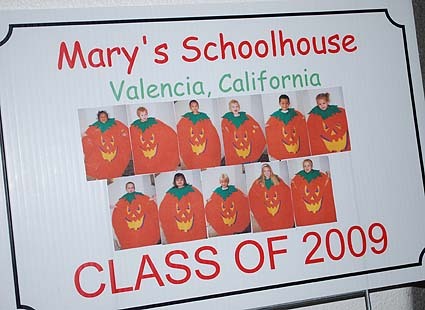 Another delightful pumpkin themed display by Gregory Family Child Care (AKA Mary's Schoolhouse) in California: a whole class of pre-school children in cute pumpkin costumes! 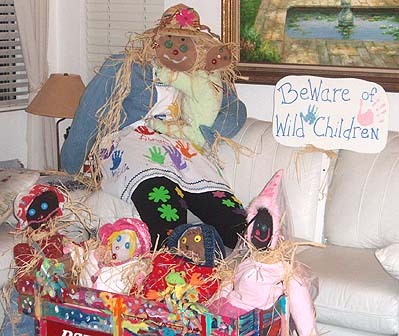 Note: This page includes teacher and student scarecrow ideas for you and your kids to make for a classroom or school days theme: teacher scarecrows, scarecrows of children in the class and school kid scare crows waiting for the school bus, child care teacher and kids scarecrows.